As a young boy, Jacob listened to his grandfather’s stories living World War II as a soldier and a Jewish refugee. Supposedly his grandfather had escaped “monsters” or as Jacob’s father informs him, Natzis, by taking refuge on a Welsh island, at an orphanage that catered to children with strange powers. His grandfather often spoke of the kids he met there, a girl who could fly, a boy in whom bees lived, and two young children who could lift boulders over their heads. He even had photos to prove it. As Jacob grows up, he loses faith in his grandfather, and assumes the stories were fantasies, the photos faked. However, when a horrible, inexplicable tragedy occurs, Jacob has to reevaluate. He finds himself journeying to the remote island his grandfather had described. There he discovers a bombed house, crumbling apart and coated in mold, that seemed as if it is the way it had been the day it was bombed only decades older. As Jacob explores its abandoned bedrooms and hallways, it becomes clear that the children who lived there were very peculiar and somehow—impossible though it seems—may still be alive. In attempts to discover the mysteries about his grandfather, he finds one of his own. Riggs has made great choices in his selection of settings, creation of suspense, choice of perspective, and inclusion of photographs. Having the story take place on an isolated island, with only one phone and surrounded by an underwater graveyard of boats, adds an eerie sense to the book that keeps the reader on edge, fearing suspicious things that lurk in the depths of the ocean or in the fogg of the forest. This setting adds suspense, but the really gut wrenching unease is created by Jacob’s search, the odd characters he encounters, creaks in floors, and his piecing together withheld information. Experiencing all of those things from Jacob’s perspective gives the book more depth because the reader knows how he is feeling and what he is thinking, making scary moments almost surreal. Finally, pieces of photography are seamlessly integrated into the story and make the characters come to life. 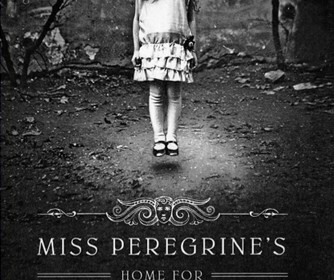 In conclusion, Miss Peregrine’s Home for Peculiar Children is a page turner and also a fantastic way to start out the series. I would recommend to those who enjoy books that take you to another world full of mystery and adventure.